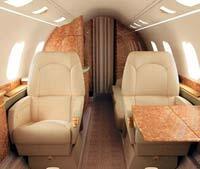 Commercial air travel is never the same once you have flown on a private jet. Sure the cabin feels like a cramped mini-submarine, but the Bombardier Learjet 60XR more than makes up for that in terms of sheer performance and excitement. “You’ve never seen a performance take-off, have you?” jokes Nilesh Pattanaik, the Country Manager for Bombardier. He’s right, I haven’t. Which was an open invitation to the pilots to show me that the Learjet can also pretend to be an F-15 Eagle with deluxe interiors. As we line up on runway 27 at Hyderabad’s old Begumpet airport, I try fiddling around with the touch screen entertainment console when I am suddenly yanked back into my seat. I’ve accelerated fast before—from zero to 100kmph in a Porsche 911—but this is another league entirely. 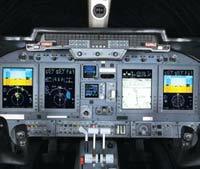 In a Learjet, you’re up to 500 kilometres per hour in less than half a minute and at 7,000 feet above earth to boot. Performance takeoff? Heck, yeah! goodies all over the plane— little packets of chocolates and mints kept popping out of drawers and cupboards. Not to mention the bottle of wine. Now we’re talking. As we climb to 41,000 feet above most of the commercial air traffic, I head back to my large leather seat and sit back to look outside the window, watching southern India in the distance. This is the life, far above the hoi polloi.